The La Flor De Cano Petit Coronas is a mild and affordable Habanos, 4.8” (123mm) long, of 40 ring gauge, and comes in a 25 cigars box. After being machine made until 2002, it is now fully hand rolled using short filler from tobacco blend from both Vuelta Abajo and Semi Vuelta regions. It comes in a beautiful cedar sleeve that enhances the ageing process. It is a mild cigar, that is perfect as a morning smoke and which is a great entry smoke for a beginner. It is not too strong, but almost a medium smoke when reaching the nub of the cigar. It’s great price to quality ratio, the stogie smokes very well. 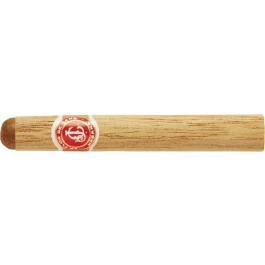 The Petit Corona from La Flor de Cano is a mild cigar with a perfect construction and balance of flavors. It is now fully hand rolled since 2002. • Rich flavors of tobacco, wood and coffee and lots of spice. • 2 years of aging are recommended for this smoke. A great morning cigar that delivers great flavors at a lesser cost. The cigar is presented with a cedar sleeve on which is wrapped the band. Once the cedar sleeve removed, it reveals a good looking cigar, with a dark brown oily wrapper, of chocolate color. A few veins are apparent, but very well-rolled nonetheless. The double cap is beautifully applied. It has a good weight, and its evenly packed, with just a slight give when squeezed. The wrapper smells of hay. Once cut, the draw is perfect, not tight at all. The prelight draw gives some tobacco. Lights up easily. The first few puffs reveal a mild to medium body cigar, with rich flavors of tobacco, sweet honey, nuts and wood. There is also a good amount of cinnamon spice at the finish. The burn line is sharp, can be wavy while smoking, but corrects itself while smoking. The cigar generates a nice thick white smoke. The ash is of dark color, and stays on until the middle of the cigar. In the first third, the first flavors reaching your palate are of tobacco mixed with leather. A few puffs in and the tobacco fades away while the leather gets stronger, and some nutty aromas are joining the mix. There are also flavors of wood, coffee and a nice white pepper taste on the lips. The finish is long, smooth and sweet. There is almost a taste of syrup on the lips. Overall, the first third of this cigar is a mild body. In the middle third, the flavor profile remain similar to the one in the first third, still a lot of leather, more pepper (white and black pepper). The finish is still very long on the palate. The smoke production increased as well as the strength of the cigar, it is now closer to a medium body cigar. In the final third, the dominant flavors are still of wood, of smooth leather, tobacco, pepper and some sweetness. There are also notes of hay or some floral flavors. The finish is now oiler and spicier (cayenne pepper). Overall, the final of the cigar is excellent, releasing tons of smoke and the body is medium to full. In summary, it’s a great little smoke, with perfect construction and draw, lots of rich flavors and a long enjoyable finish. A great every day smoke.